This family friendly kids study chair offers steady seat, comfortable and healthy study experience and a vibrant colour. It is a swell choice for kids to sit and study in a comfy, healthy and enjoyable environment. 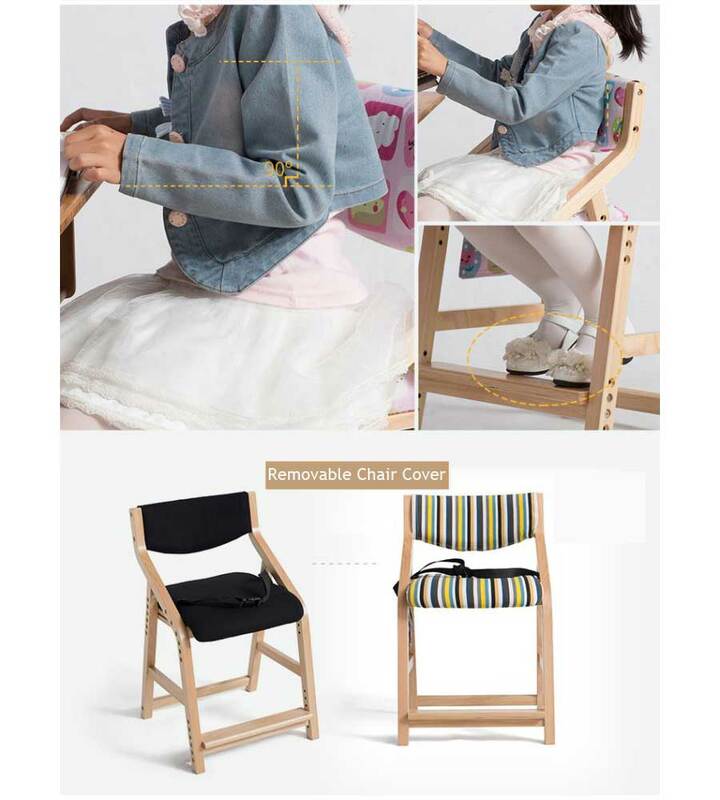 The Jianyu adjustable kids study chair is made with bendable material, the chair offers you the easy flexibility you could get in wooden furniture. This study chair is made with reinforced solid wood with high sustainability, you can kick back and enjoy a 10-year quality guarantee. The chair comes with soft foam filled seat cushions with linen fabric, bringing your kids the ultimate comfortable experience. 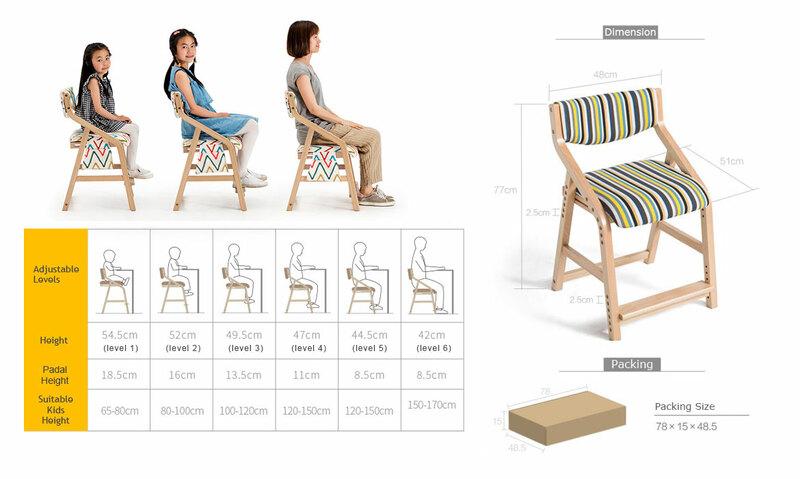 The Jianyu adjustable kids study chair has a 6-level adjustable seat and a 5-level adjustable pedal, adapting to the individual height of the sitter. This chair offers a friendly protection for the spine growth of kids with its adjustable seat and pedal, and it also improves the postures, perfect for school kids whose parents are looking for a chair that helps build up better health for their children. The chair is constructed with separable parts which can be taken apart for cleaning, making the maintenance process pleasant and efficient. The Jianyu adjustable kids study chair is made with reinforced seat frame, offering a longer lasting product quality. It is built with hidden screws, minimising potential risks of injury during separation for cleaning.